Sightseeing with kids is truly an adventure. There is something really magical about experiencing the world through the eyes of a child, and time spent together in exploration forges lasting memories. Logistically speaking, however, sightseeing with children also poses a number of challenges. Keeping kids happy, comfortable, and safe when you’re out and about is often an ambitious undertaking all on its own. The more foreign or adventurous the endeavor, the greater the demand on parents or caregivers. A little preparation and perspective will go a long way toward ensuring your experience sightseeing with kids is a positive one. According to Google, sightseeing is “the activity of visiting places of interest in a particular location”. By that definition, a trip to the beach, a picturesque hike in a park, or a picnic at a scenic overlook could all be considered sightseeing. Whether you are sightseeing close to home, in another state, or in some exotic foreign destination the following tips should make the experience more memorable for you and the kids in your life. Involving kids in planning a sightseeing activity could take on many forms depending on the age and abilities of the children. At the very least, children should be briefed on the basics: who, what, where, when and how. Ideally, they should have some say in what you will do. For instance, if you are visiting a zoo, let each child choose an animal they want to see. 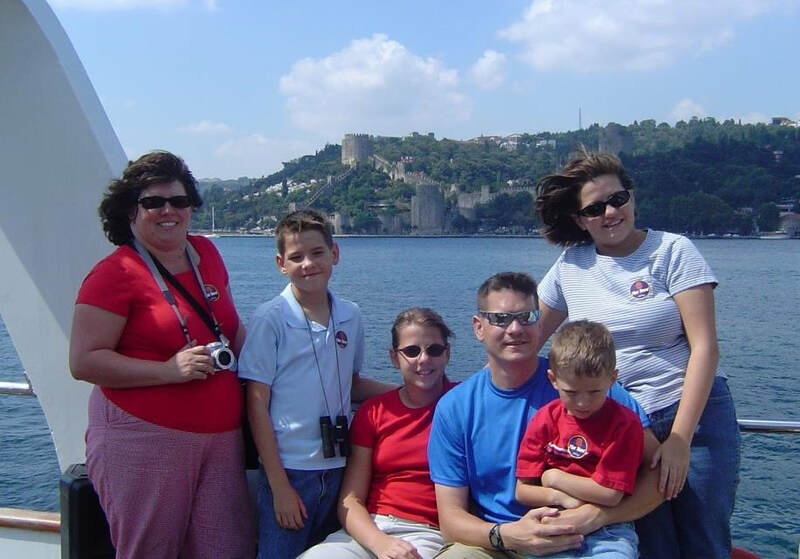 In 2005 our family had the opportunity to do a great deal of sightseeing in a number of foreign countries. At the time our three oldest children were 10, 12 and 14. In preparation for each new country we asked each child to pick one or more of the destinations we would be visiting and research them. The children were then responsible for briefing the rest of the family regarding the sites. In our case we were visiting a lot of ancient ruins, so the children were asked to tell who lived there and when, why they were historically significant, and what we could expect to see at the site. Water – sightseeing can be thirsty work. Water is best because it won’t go rancid once opened like milk or juice. Depending on where you are, fresh water may not be readily available, or it may be exorbitantly expensive. It’s best to bring your own if you are able. Snacks – anyone who has spent any time with kids knows they are always hungry, except perhaps when you want them to eat. Being away from home can make kids even more finicky than usual, so be sure to have snacks on hand that you know they will enjoy (preferably nutritious ones). Over the counter medication – pack a small pill sorter with a few doses of medication for pain, allergies, and diarrhea/upset stomach at a minimum. A small first aid kit – include band aids of varying sizes, a small tube of antibiotic ointment, sterile wipes, safety pins, Moleskin (for blisters) and some small scissors to cut it, and a couple of small vials of eye drops. A change of clothes – the younger the children, the more important it is to include this in your day pack. When my husband and I were regularly sightseeing with kids, cell phones were just becoming popular. Nowadays I highly recommend writing your cell phone number on the inside of your children’s arms in case you accidentally get separated from one another. Kids move at their own pace. Sometimes it’s a snail’s pace and sometimes it’s more like a jackrabbit. Be prepared to adapt your sightseeing efforts accordingly. If children are dragging, take a break and maybe get a snack. If they’re bursting with energy look for ways to expend some of the excess within the context of your sightseeing experience. On a trip from the U.S. to Amman, Jordan we had a 12 hour layover in Amsterdam. We felt we couldn't pass up the opportunity to go into the city and explore. The only problem was, none of us had gotten very much sleep on the trans-Atlantic journey, and our internal clocks were all out of whack from the time change. We decided to make the most of the situation. We took the train from the airport and then we wandered the city on foot. We went to a maritime museum, we spent time in a park near the river, we took a tour of Rembrandt's house, and more. Throughout the day our six-year-old did his best to impersonate an Energizer bunny - he just kept going and going and going. And then he stopped. Actually, he sort of fizzled out like a windup toy whose battery has been drained. As we walked back to the train station to return to the airport, he completely ran out of steam. My husband put him on his shoulders where he proceeded to fall fast asleep! What's more, he continued to sleep through the train ride, several hours in the airport, and most of the flight to Jordan - there was no waking that kid once he was out! In order to get the most out of sightseeing with kids, try to work within their normal schedule as much as possible. If they are accustomed to taking a nap in the middle of the day, do some sightseeing in the morning while they are fresh, and then come back to the hotel to rest for a couple of hours. You can go back out in the afternoon for more adventures. Kids are often able to understand more than adults give them credit for. If they understand what the expectations are, they can (and often will) rise to meet them. When sightseeing with kids, expect them to behave, and expect them to get something out of the experience. At the same time, it’s important to keep in mind the limitations of their size, intellect, and attention spans. Plan activities you know will hold their interest, and look for ways to present things that will appeal to them. Make a game out of searching for a particular object in a museum, see who can spot the most ___ (fill in the blank), or ask everyone to find their favorite (painting, artifact, animal, etc.). Do what you can to adapt the situation to accommodate their interests and abilities. Pictured above are our three oldest children experimenting with sound transference by talking to each other through two holes in the ground in the courtyard of a castle in Syria (Qalat Marqab). Depending on where you are traveling, public transportation is often less expensive and less stressful than driving. It is also part of the adventure, especially for children. My children have fond memories of riding the subway in Washington D.C., riding in a taxi in Cairo, riding the tram in Istanbul, and riding the train in Amsterdam. Public transportation offers a great opportunity to experience a place from the perspective of its residents. Depending on the age of your children, they may have a phone with a camera. If so, encourage them to use it while sightseeing. If kids don’t have a phone of their own, consider allowing them to take a few pictures with yours or entrusting them with an inexpensive digital camera. At the end of a day of sightseeing with kids, invite everyone to share their photos, and vote on your favorites. It’s always interesting to see the world from your child’s eyes, and with the quality of today’s cameras, even young children can take a good picture on occasion. Provide children with a journal of some sort for recording their sightseeing experiences. Young children can draw pictures or dictate their thoughts to an adult or older child. Encourage kids to add in photos, ticket stubs, museum brochures and other memorabilia. Travel journals, if done with enthusiasm and interest, can be wonderful treasures to look back on in later years. They represent, not only a special experience in the life of your family, but also a moment in time when your child was a particular size, with particular interests and abilities. They are like time capsules. Take time at the end of each day of sightseeing with kids to reflect together on the places you visited and the things you saw and experienced. Ask everyone to share their favorite parts of the day, or something they learned, or something that surprised them. Share photos and take a few minutes to help children capture their thoughts in a travel journal. But don’t stop there. 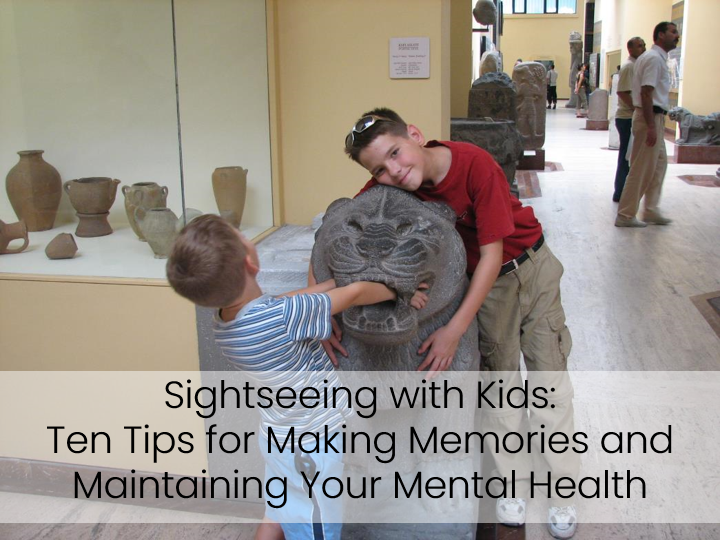 I hope you’ve found these tips for sightseeing with kids helpful. From my family to yours, here's wishing you a fun-filled, memorable family adventure! For more information and ideas on traveling with kids (and in general) click on the icons below. If you liked this page, please share it. If you have a great tip for sightseeing with kids, please post it in the comments section below!